If you live in or are visiting the Big Easy, you know there are certain unspoken rules and courtesies when it comes to eating and drinking here. Always tip the pianist at Lafitte’s Blacksmith Shop if he takes your karaoke request. Never eat a Lucky Dog after too many Hand Grenades. 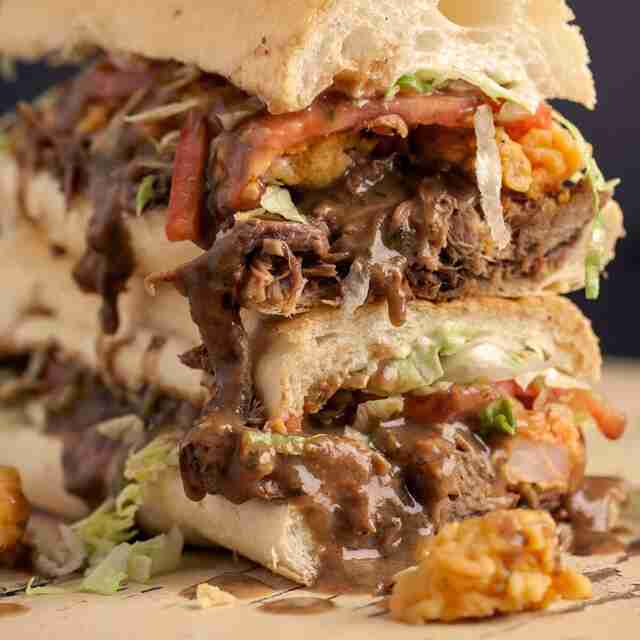 Ordering a po-boy “dressed” means that it will come with lettuce, tomato, mayo, and pickles….and so on. There are also some truly special things that remain hush-hush to many in the NOLA food and beverage world, among them some spectacular secret items that you’ll have to know about and (politely) request if you want in. Here are some of our very favorites -- but don’t tell too many people, m’kay? Many go to the second-oldest restaurant in the city for the brisket, and others for the historic stand-up bar downstairs for a grasshopper or a Sazerac. But those in the know know to order the outstanding chicken bonne femme, one of the best “fried” chicken dishes in the entire 504. 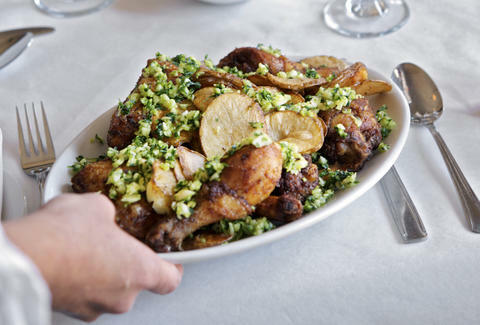 This beast is a half fried (but not battered) chicken smothered with garlic and parsley and served with thick-cut potatoes. 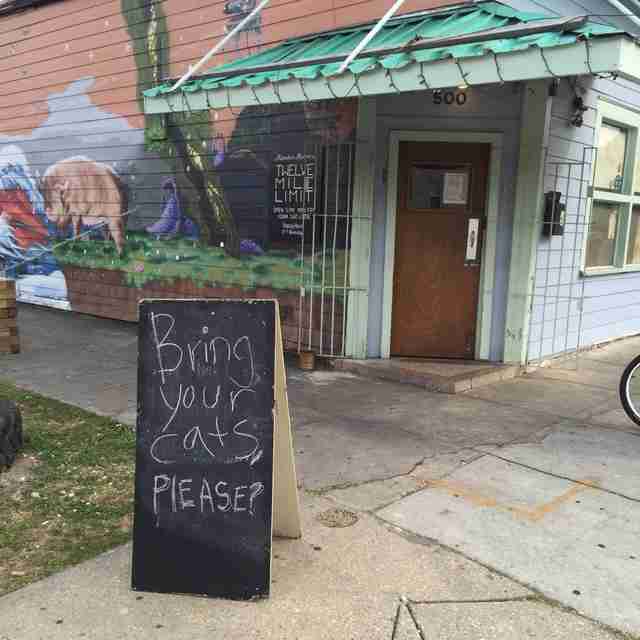 Nope, it’s not on the menu, so you’ll have to make a special request. You’ll be happy you did, for sure. When headed down Magazine to this iconic Uptown spot (founded in 1919), you know what you’re after are the oysters. After all, they’re not just premium Louisiana specimens -- you know that they’ll be icy-cold, but never watery, thanks to the restaurant’s special stainless steel oyster cooler. You also know that there's gonna be a line. 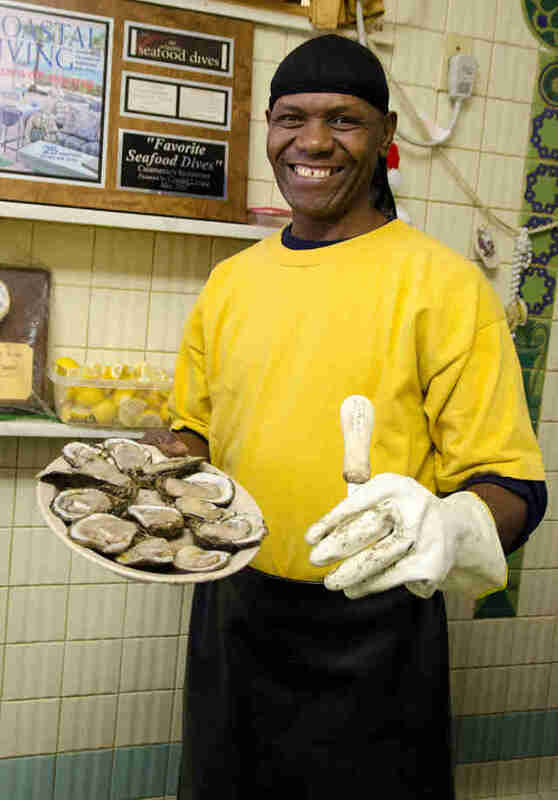 If you happen to tip shucker extraordinaire Mike Rogers while you’re waiting, be sure to ask him for a “flying oyster,” and the man will expertly shuck a cold one right into your mouth from about 10ft away. All you have to do is catch it. 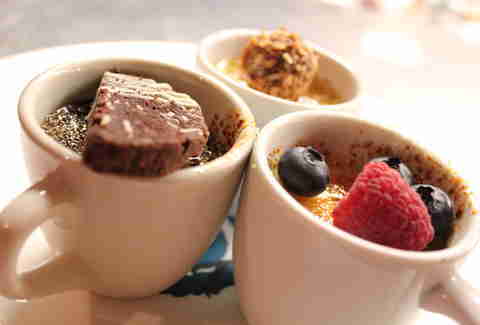 There are a number of Grand Dame creole restaurants in the French Quarter that can offer you cafe brûlot (upon request), that inimitable concoction of coffee, booze, citrus, and spices deftly set on fire at your table. But pros know that if you want the ultimate flaming coffee-and-alcohol concoction, you need to go to Commander's Palace for the cafe Pierre, where it is deliberately left off the menu. There’s a reason for the discretion: while it isn’t more potent than a brûlot, this tricky pony is so impressive to behold that it takes some serious skill and time to pull off. Request it, and you’ll be the envy of the entire dining room. Even the POTUS himself couldn’t keep away from Parkway Bakery and Tavern on one visit to the Big Easy (Mr. Obama chose the always-classic shrimp po-boy). But if you really want to take it to the next level, ask for the “James Brown.” We’re sure that the Godfather of Soul (RIP) would approve of traditional deep-fried golden shrimp topped with barbecue sauce, cheese, and roast beef gravy. It took a while for a genuinely authentic New York-style pizza to make it to the Crescent City, and truth be told, Pizza Delicious was the first joint to do the slice justice. The pizza is fantastic (and foldable! ), as are the handmade pastas and specials. On a good day, though, you’ll find their special “garlic knot-chos,” which are exactly what they sound like: the house-made buttery garlic knots dressed with pasta sauce, pickled jalapeños, and plenty of shredded Parm. Each knot is a mouthful of gooey, secret deliciousness. 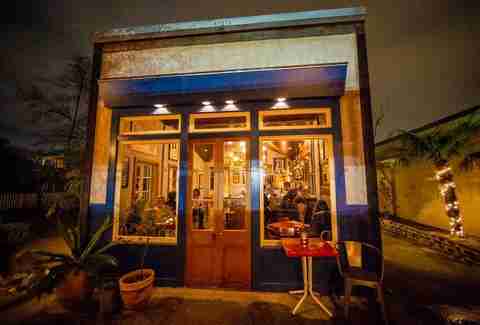 Wait... how can a whole restaurant be a secret in a town like New Orleans? Well, it might not be the best-kept secret, but N7 debuted with zero official publicity and relied mostly on word-of-mouth marketing (which is good, because if someone told you about this place, you’d want to go there and then thank them for it). Maybe it’s because having a restaurant in NOLA that specializes in canned seafood is kind of an odd duck, but believe you me, those tins offer rarities not often seen in this town -- think fancy sardines, mussels, and calamari. All are imported, and crazy-delicious. There’s so much to love about Michael Gulotta’s “Mekong Delta-meets-Mississippi Delta” fusion spot near City Park, and it’s almost hard to decide what to order (though we recommend the chicken wings, razor clams, and the fried oysters with nước chấm mayo). 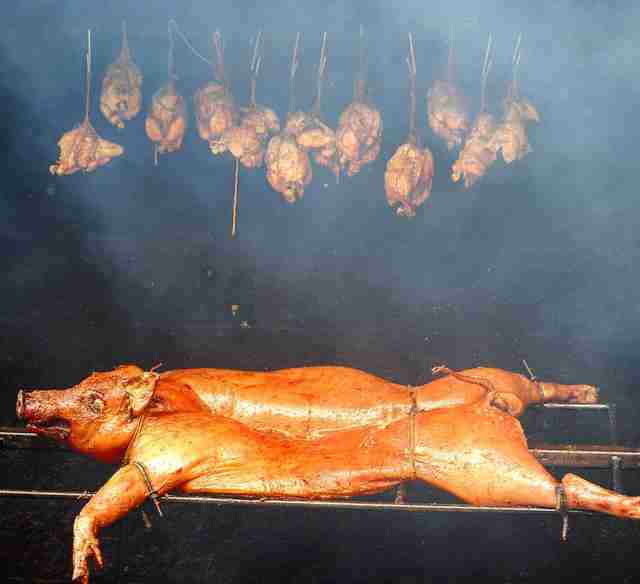 If you’re lucky enough to get there on a Saturday night, chef Gulotta roasts a whole pig to serve that day until it runs out. The sizzling platter of cochon de lait arrives with ample meat, house-made roti, fish sauce, house herbs, and pickled veggies, all for only $23. Chef Chris DeBarr -- everyone’s favorite mad hatter of the kitchen -- recently returned to cook in NOLA with all of his worldly appetites (for which we can’t be sufficiently thankful). Few know that he also likes to dabble in mixology, and now has a particular concoction behind the bar at Rebellion that doesn’t appear on any cocktail menu. “We have an after-dinner coffee cocktail I made up called Ferdinand the Bull -- cuz it's so much better tasting than Red Bull,” he writes, “that employs cold brew coffee, ginger syrup, and tequila. It's other aliases are Chef's Go Go Juice or crack juice.” If you’re looking for a pick-me-up with a special kick, look no further. Seafood is king at Borgne, and Brian Landry’s creative takes on the fruits of the Gulf (and other local waters) are always welcome. 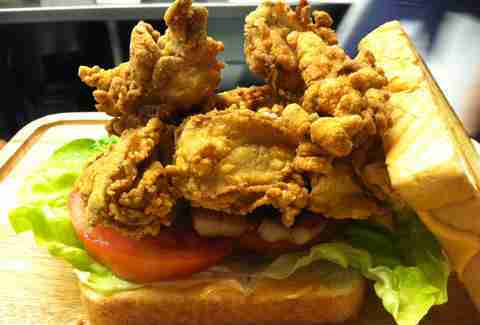 Sadly, the phenomenal oyster BLT “ain’t dere no more,” as we say in New Orleans. However, if you’re bold enough to politely make a request, there’s a good chance they’ll still make it for you. OK, you can tell your friends about this secret, because if we all keep ordering it, maybe the BLT will find its way back onto the permanent menu. The current fantastic state of New Orleans seafood wouldn’t be what it is without Drago's ingenious invention of the charbroiled oyster. Once solely available at Drago’s original Metairie restaurant, these buttery, garlicky bivalves are now on menus everywhere it seems. However, if you’re willing to venture out to Fat City, you can not only find the originals (and still the best), but also one secret seafood item available only on request: seafood-stuffed soft shell crab topped with crab sauce. It’s seafood within seafood, with seafood on top, so, basically... seafood-ception. The Crescent City is known for its global tastes, but sadly there seems to be a dearth of real-deal Cuban food in town. 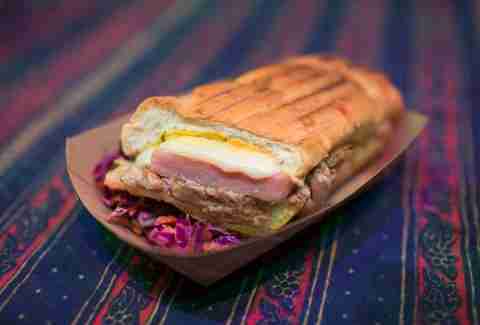 If you’re looking for the city’s finest Cubano sandwich, you won’t find it in any restaurant, but at the hands of the Congreso Cubano pop-up. Check out the Facebook page for locations, which vary from bars to block parties and festivals. Trust us, it’s worth cyber-stalking for that buttery bread filled with pork, pickles, melty cheese, and mustard. Sure, there's no lack of Vietnamese options in NOLA -- it seems another pho or banh mi joint opens up daily -- and if you happen to be drinking at the Lost Love Lounge, you’ll surely notice the great little Vietnamese counter in the back. The presented options are all satisfying, but if you inquire, you might just score some off-the-menu and out-of-this-world steamed buns stuffed with barbecue pork to go with your rice noodles and spring rolls. In a city blessed with amazing neighborhood bars, it’s saying a lot that Twelve Mile Limit is one of the best neighborhood bars in town -- but it’s the truth. The excellent vibe, friendly regulars, and stellar cocktail program all add up to a place many Mid-City locals call their second home. That homey feeling is compounded by the fact that, every Monday, the bar’s kitchen serves up a complimentary “family meal” for guests, with one serving at 7pm and another at 8pm What they cook up varies, depending on the week and the cook’s mood, but past offerings have included enchiladas, pastas, casseroles, and other homestyle dishes guaranteed to fill you up as you sample the many excellent tipples at the bar or play a couple rounds of darts. Wait... what? Yeah, you heard that right: FREE BLTs at Banks St. Bar on Wednesdays at 10pm. Courtesy of house blues/rock outfit “Major Bacon,” you’ll not only be treated to a fun and rocking live show (we expect nothing less from an outfit with that handle), but also a bacon, lettuce, and tomato sandwich that costs all of zero dollars. Scott Gold is a writer in New Orleans who has many personal food secrets, among them that he is mildly allergic to eggplant. Please don’t tell his enemies. Follow him @scottgold for even more secrets... if that’s your thing.